Langtang valley is one of the famous trekking sites in Nepal after Annapurna region and Everest region, the preserved area offers a wide variety of Himalayan scenic beauty and one can encounter with the close view of verities of landscape, natural flora and fauna with typical mid hill tribe Tamang’s cultural and religious experience and travelers who are seeking for the real Himalayan lifestyle experience and to enjoy the natural wilderness this trek is highly recommended for the adventure travel lovers which is located north of the Kathmandu valley. Upon your arrival outside the Kathmandu airport terminal, the airport representative will wait you to take you to the hotel taking around 20 minutes but you must check your name at play card. Overnight at hotel in Kathmandu. Today we will take an amazing flight from Kathmandu to Lukla (2827m) in the morning parallel to the huge Himalayan adjacent to Nepal and China. After 40 minutes, we will land in a runway and our caretaker will help us carry our belongings. Then we will walk down to the DudhKosi River, where we connect with the main path to Namche Bazaar. After moving all the way through the small area of Ghat (2550m), we will soon arrive at our tea house at Phakding. Today, we start from Phakding and walk across the river to trek all the way through the area of rhododendron, blue pine forest and more which is really superb experience especially during the spring. We go crossways tothe DudhKoshi at Benkar and take pleasure from the scenes of snow-topped mountains KusumKanguru (6369m), Thamserku (6623m) and so on. The way then becomes fairly difficult and includes a perpendicular climb to Namche Bazaar. The will now walk through upstream on flat land, on the bank, to the fusion point of the DudhKoshi and BhoteKoshi rivers. After crossing one of the suspension bridges above the river we will ascend to Namche Bazaar. We get the most amazing vivid opportunities of gigantic peaks -Everest, Lhotse, Nuptse, AmaDablam, Taweche is visible. Overnight at hotel Namche Bazaar. Today we will go around Namche Bazaar appropriate adaptation with the environment at the height. Namche is a prosperous village situated in a large protected hollow. And the amazing scene visible from here includes superb panorama of the Khumbu peaks and great views of Everest. Then, after having our breakfast, we can also walk towards Thami (3810m) over the amazing BhoteKhola River Valley or visit the Sagamatha National park to look at the protected floras and faunas. And then we will hike up to Everest View Hotel. We will today move down down through the Khumjung area and move to the major path to Everest at Shanasa. We will walk further to Trashinga and then move down to go across the DudhKosi at Phunkitenga (3250m). In the daytime, it is a wide and vertical ascend through fir, black juniper, pine, rhododendron forest and reach Tengboche Monastery. Here we can see gigantic peaks AmaDablam, Kantega, Mount Everest etc. We will be walking for around 5 hours todayWe stay at hotel in Tengboche tonight. On this day, we will walk down through the forest of birch, juniper, fir and rhododendron at Debuche. Here we only steady way up but due to the elevation we have to speed ourselves increasingly all the way through the day. After passing the ImjaKhola, the trail heads to Pangboche where we can see the beautiful mountain of AmaDablam. Then our route is to climb all the way through unwrapped alpine hillsides prior to another crossing of the ImjaKhola and reach Dingboche. Today we have a day rest at Dingboche which lies at an altitude of 4300m. We need to get accustomed with the high elevation, so we don’t go for further ascend today. Optionally, we can go for hiking in Chhukung Valley. Today, leaving Dingboche the trail goes up to the drain of the Khumbu. Then after an hour the path mounts up to the Khumbu Glacier. Almost half of the climb to the moraine is Dughla. Moving ahead from Dughla the trail keeps on ascending steeply to the crest of the moraine. The path now moves on flat level on the west part of the moraine prior to arriving at Lobuche. Today is the most challenging and significant day of the entire trek. We will walk all along the Khumbu Glacier to reach up to Everest Base Camp (5360m) which is considered to be the nearest place you can get to observe Mt. Everest without mountaineering equipment. The vista of the Khumbu Icefall from Base Camp is fabulous. A firm way up permits us to put up the slow, sound pace essential when walking at high altitude. When we reach at the moraines of ChangriNup Glacier, we make a chain of small up and down trekking over a shaky track lined with cairns that takes us to the unpredicted glacial sands of GorakShep (5160m). And, we head off to the Everest Base Camp. We then return back to GorakShep for staying overnight. We will trek towards Gorakshep today. From these places, we will walk up to Kalapattar. We can observe the peaks of Pumori (7,145m), Khumbutse (6,623m), Lingtren (6,697m) and more which divides Nepal from Tibet and just above the Lho La pass we can see the huge face of Changtse (7,750m). And then again return back to Pheriche for staying overnight since we cannot find lodges at Everest base camp or Kalapattar. From Pheriche we make way down to Orsho, and then trek to Pangboche village. Here we can observe the oldest monastery in the area which believed to be holding the bones and scalp of a ‘Yeti’, or the awful snowman. Leaving peaks behind us, our further way down takes us to Tengboche Monastery lying at an elevation of 3860 m.
The track today will go down quite abruptly as we walk back to Namche Bazaar. To arrive at the camp and to reach our overnight spot, we will have a steep climb. We take our lunch in Phakding today and make the final way up to Lukla which becomes a surprise for the majority of the trekkers. We arrive at the airport in the early afternoon. Lukla is famous for celebrating end of the trek. Day 14: Lukla to Kathmandu: Fly to Kathmandu. Day 15: Departure from Nepal as per Time. 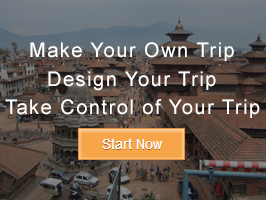 Our airport representative will help you to reach Kathmandu International Airport for your way back to your country as per your time. Meals in mountain (13Breakfast,12 Lunch and 12 Dinner) during the trekking.